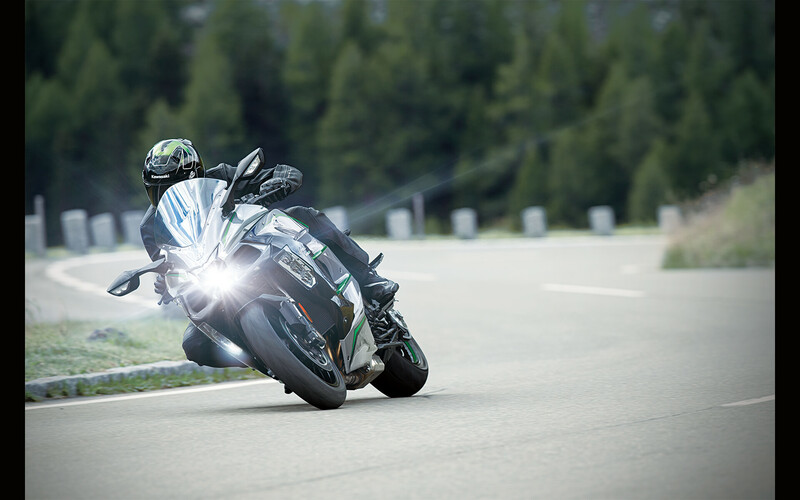 Cornering lights provide supplemental illumination when cornering, creating a wider illuminated path in the direction the bike is heading. 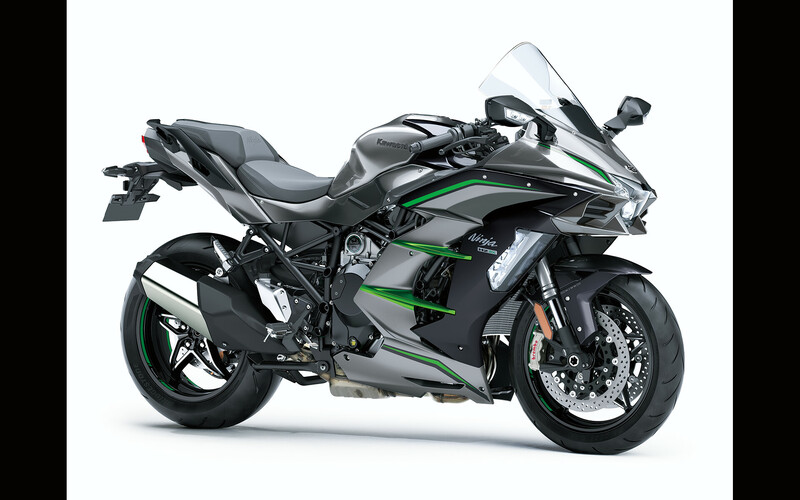 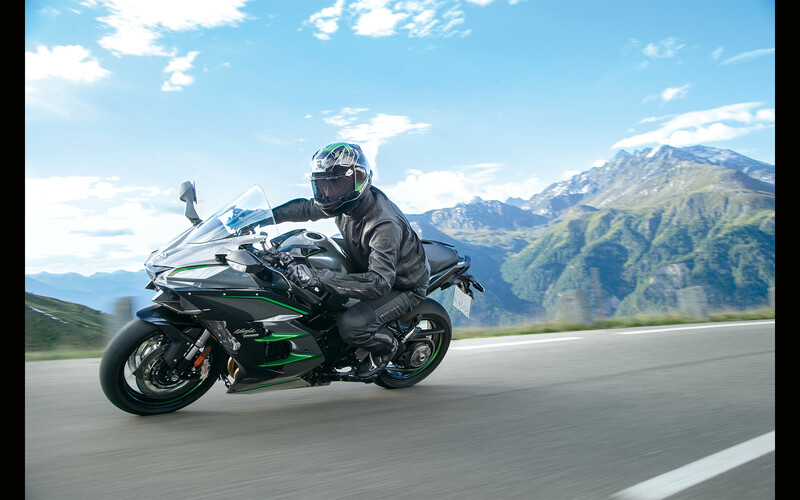 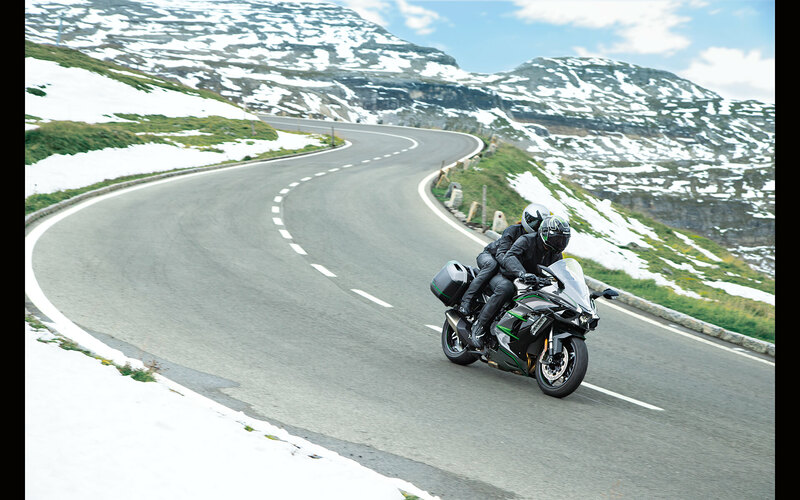 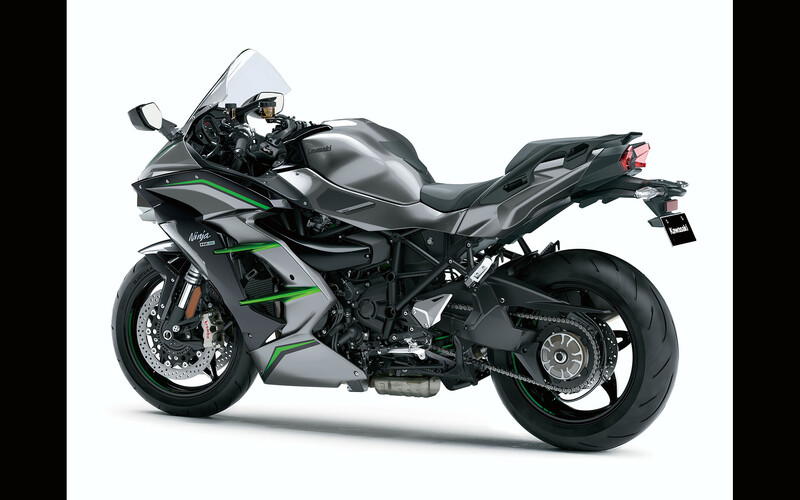 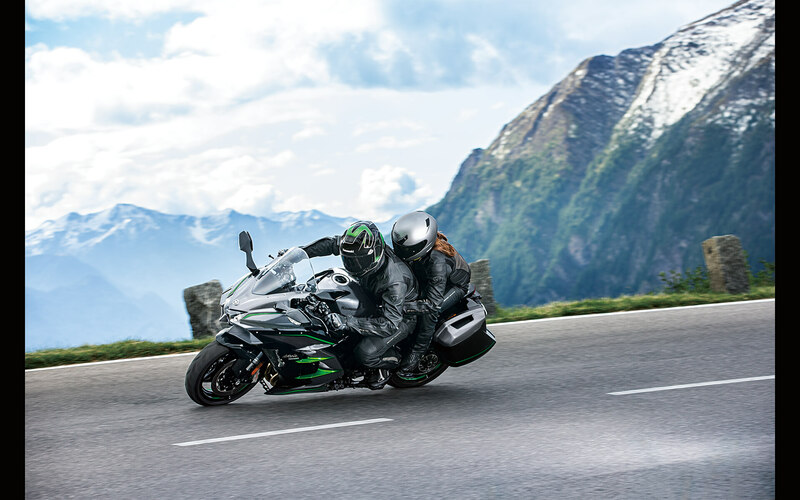 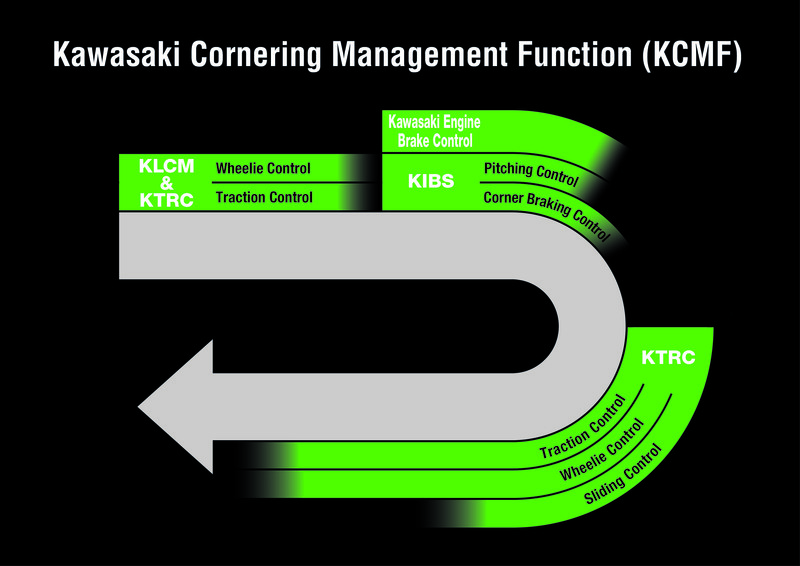 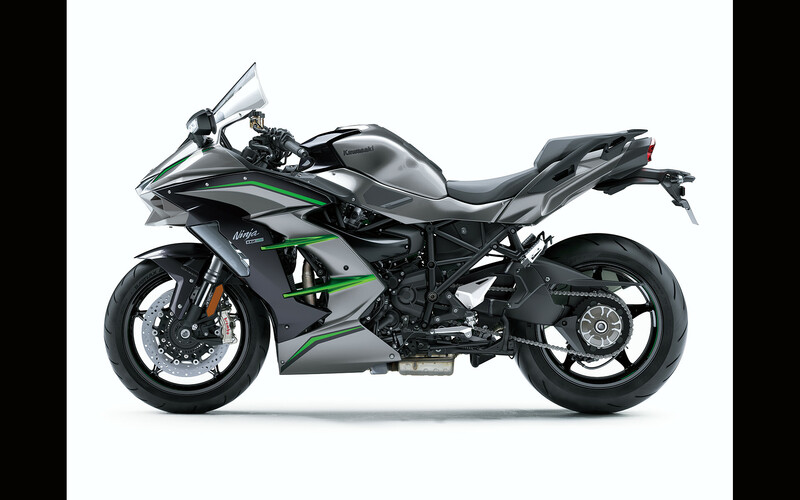 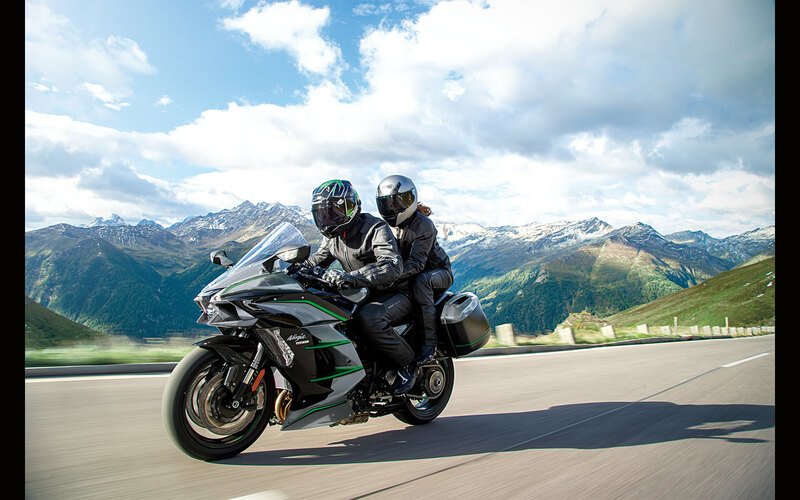 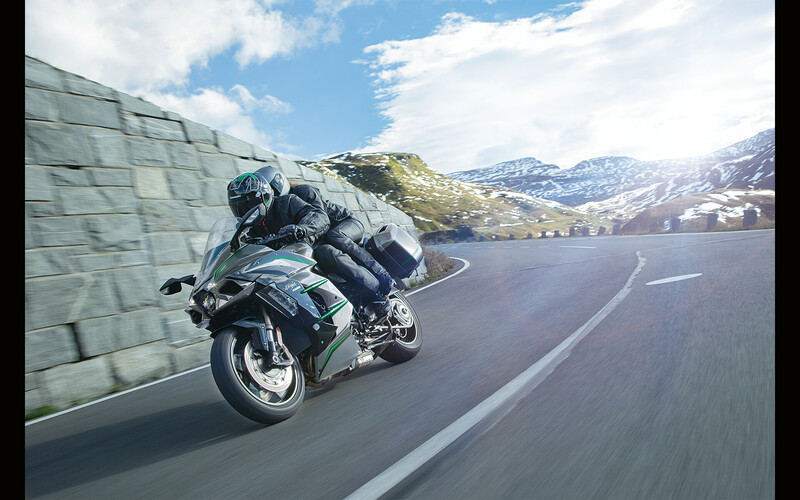 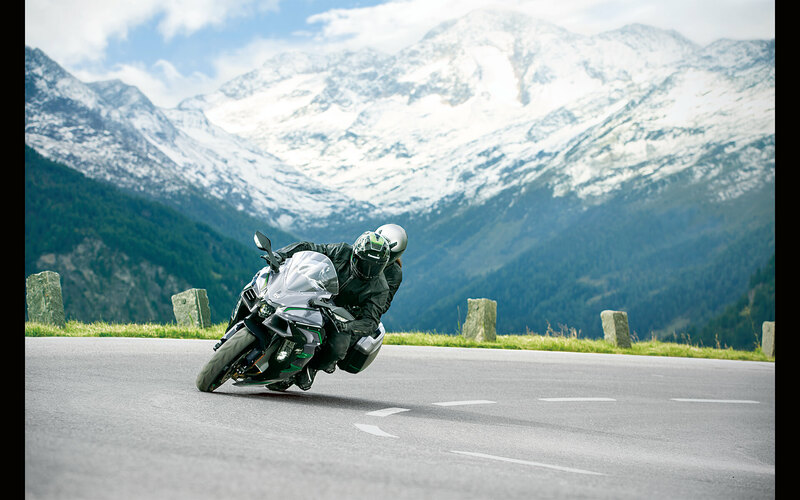 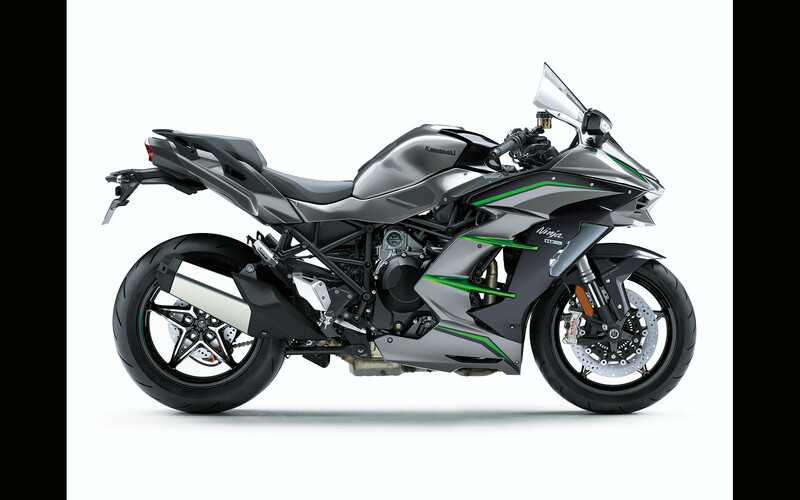 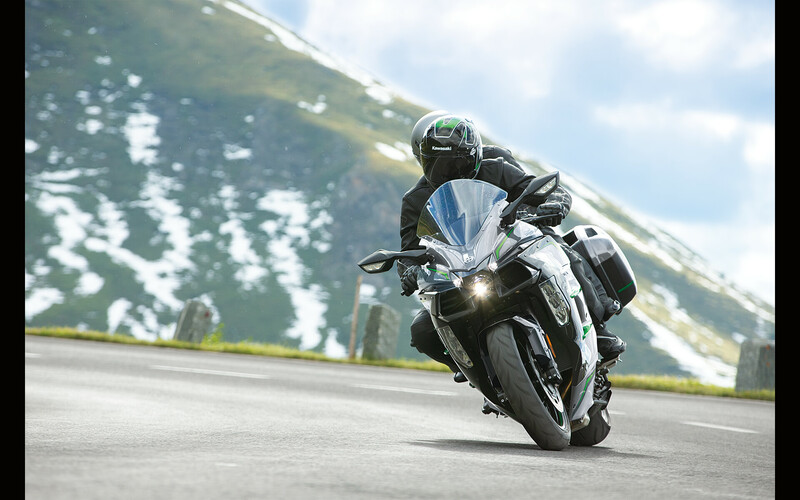 KECS (Kawasaki Electronic Control Suspension) adapts to road and riding conditions in real time, providing the ideal amount of damping called for. 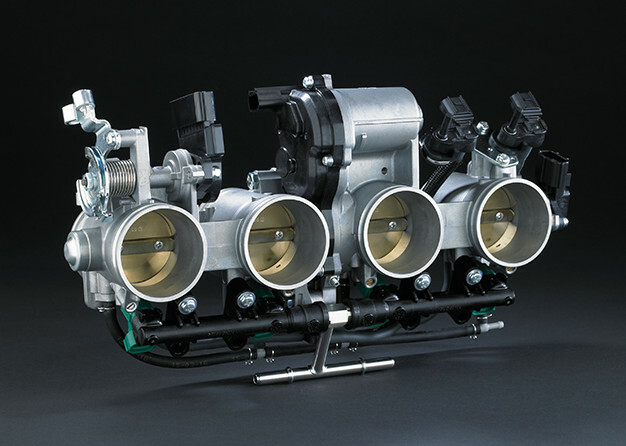 Horquilla invertida de 43 mm con amortiguación en compresión y extensión KECS controlada, ajuste manual de precarga de muelle y muelles de precarga de 11,7 cm. 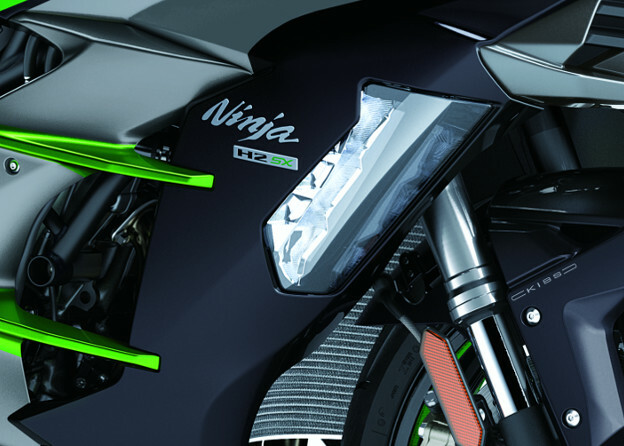 Sets of three LED lights built into each side of the fairing help illuminate the road when cornering at night. 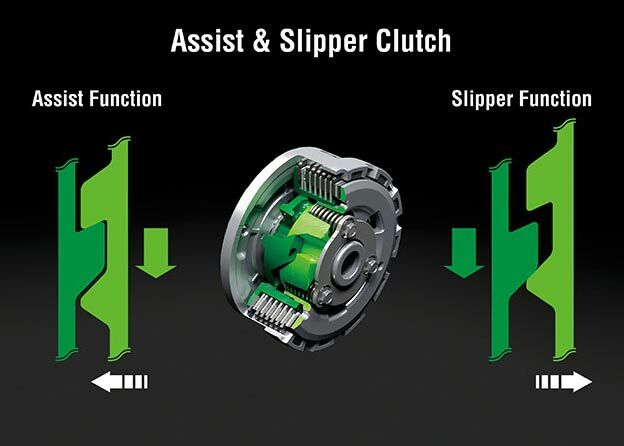 Each of the three lights has a fixed direction and is activated based on lean angle. 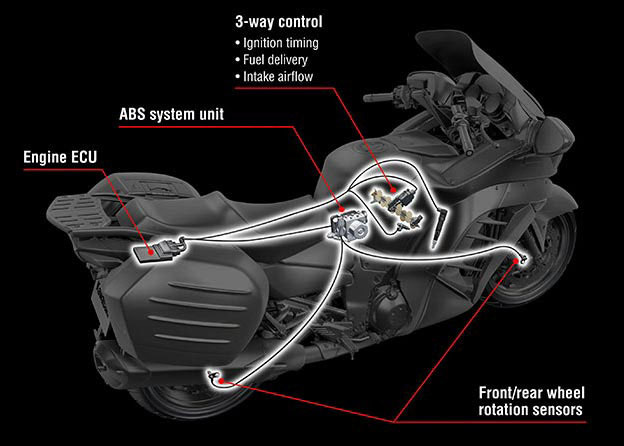 As the bike leans over, the lights come on in order, creating a wider illuminated path in the direction the bike is heading. 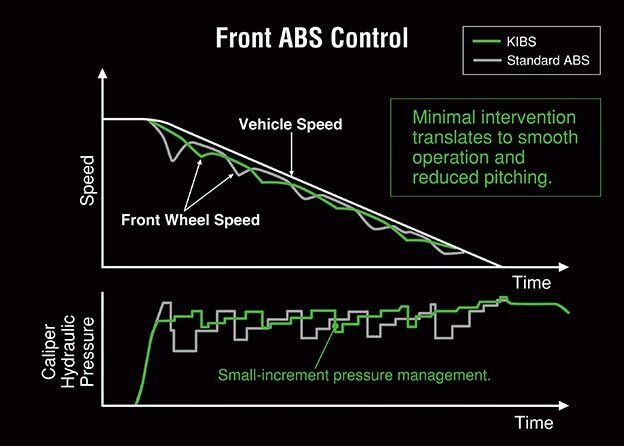 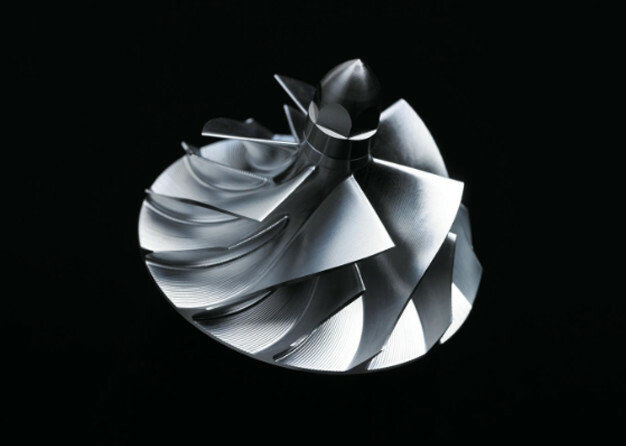 KECS adapts to road and riding conditions in real time, providing the ideal amount of damping called for by electronically adjusting damping to suit vehicle speed and suspension stroke speed. 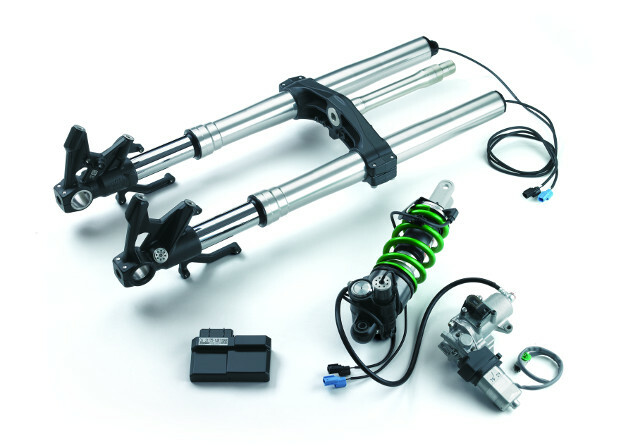 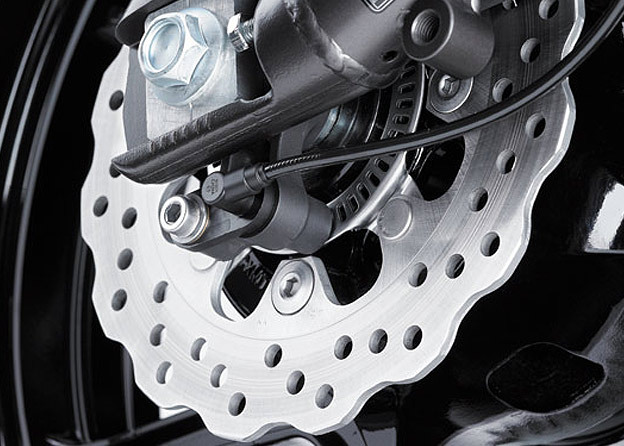 Deceleration is also taken into account, which allows the system to help manage pitching that may occur during braking.Control via solenoid valve with direct actuation enables an extremely quick reaction time, making KECS ideal for sport riding applications, where natural feeling is crucial to feeling at one with the bike. 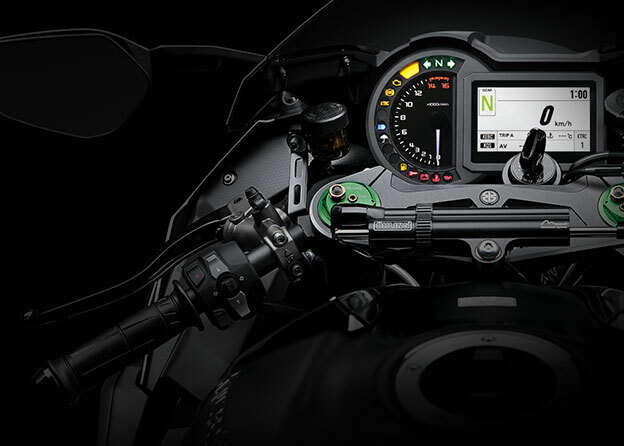 Built-in stroke sensors on both the fork and rear shock provide real-time stroke speed and compression information. 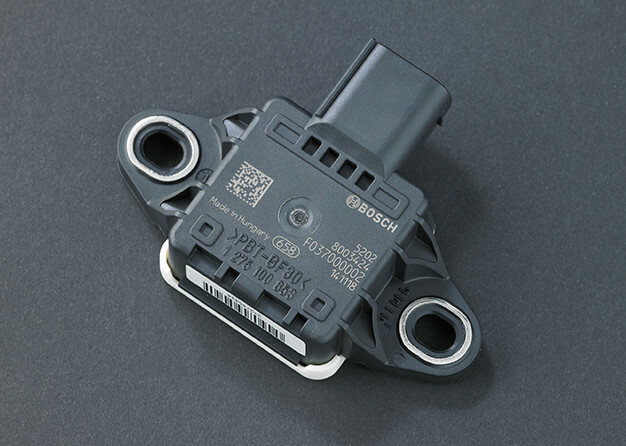 Input from the sensor coils to the KECS ECU is complemented by information provided by the IMU (acceleration/deceleration) and the FI ECU (vehicle speed). 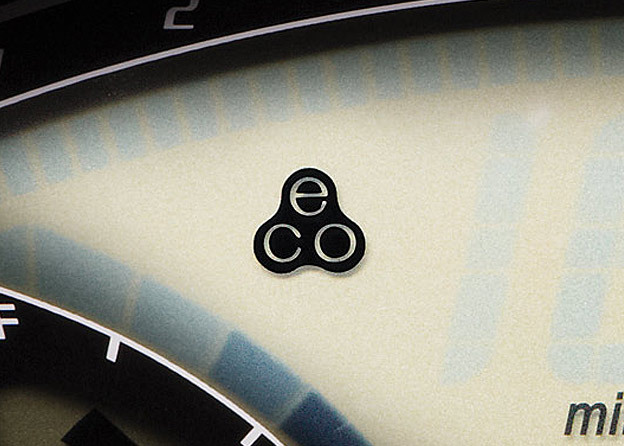 The KECS ECU then directs current to the solenoids to adjust damping as required by the situation. 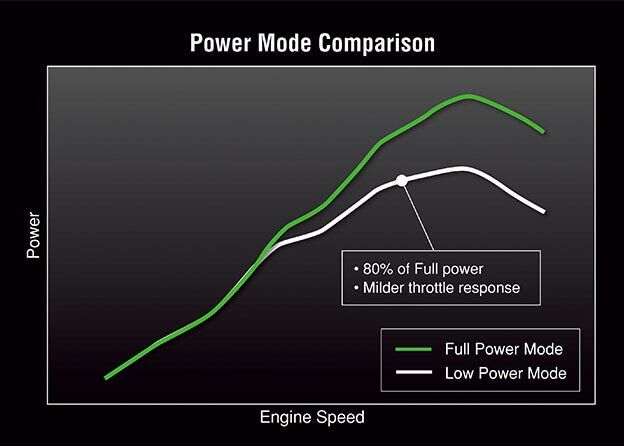 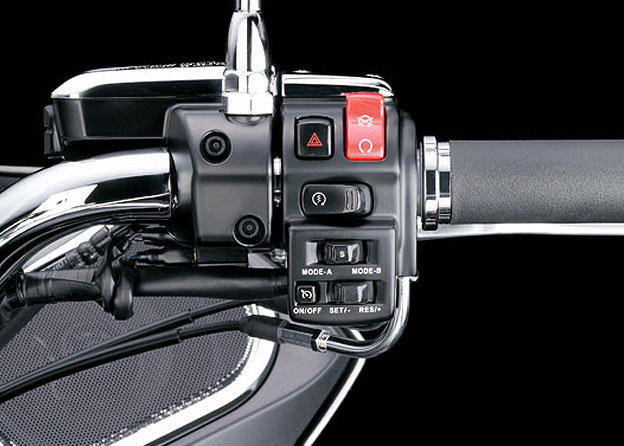 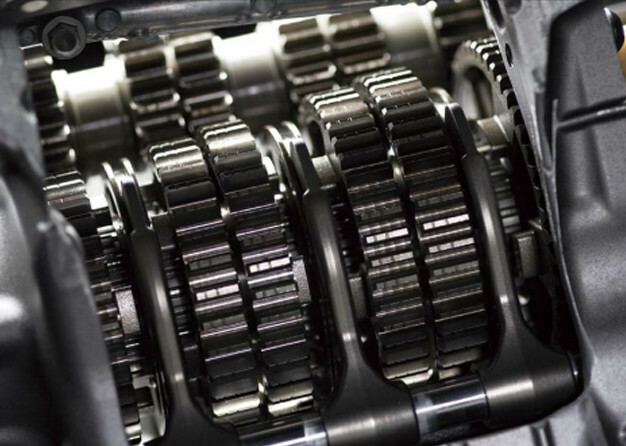 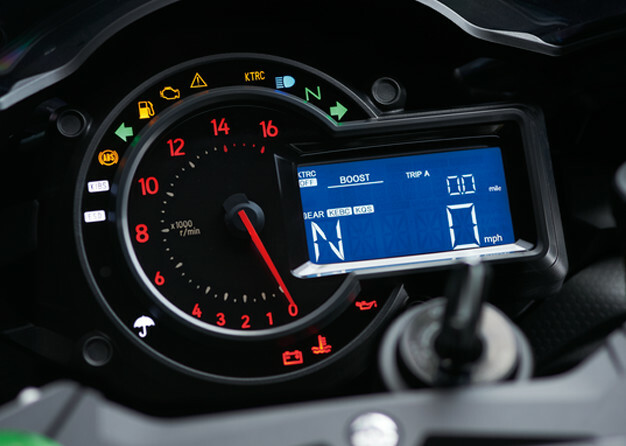 Selectable modes allow riders to choose softer or firmer base settings.